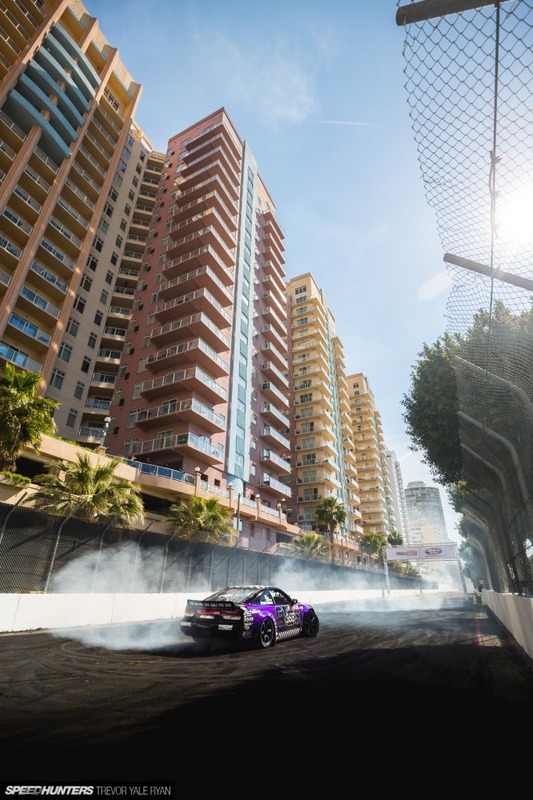 Qualifying for Formula Drift’s season opener on the Streets of Long Beach went just about as you might expect, with a couple curveballs along the way. 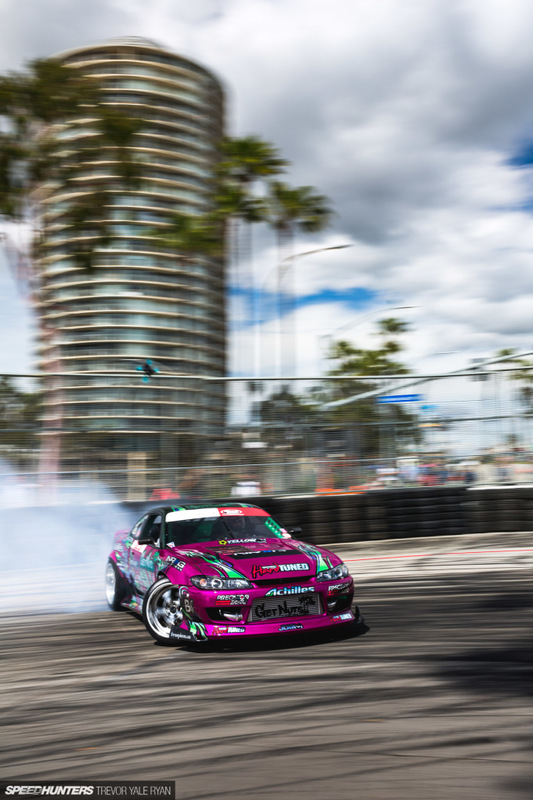 First off, with James Deane starting the journey to a third consecutive Formula Drift championship title, it’s no surprise his run was just two points off perfect. Still, it wasn’t enough for the top spot and three other drivers slotted themselves in one singular point behind. Also unsurprising is that Piotr Więcek was one of the three. Let’s jump into it all, then. 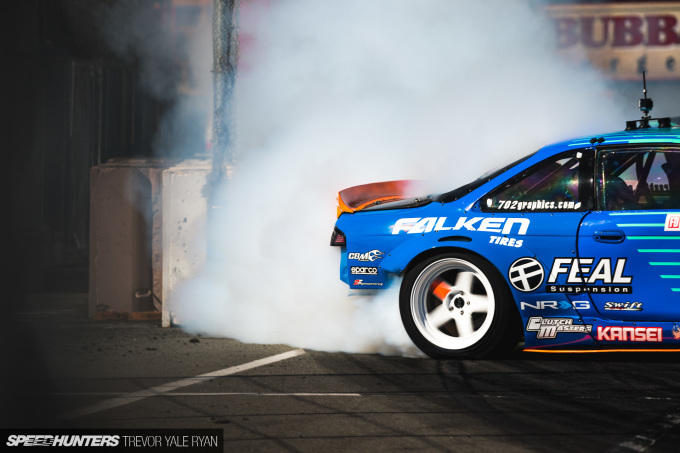 Pat Goodin kicked things off in Matt Field’s refreshed S14, a car that had its wrap applied just days prior in the paddock. 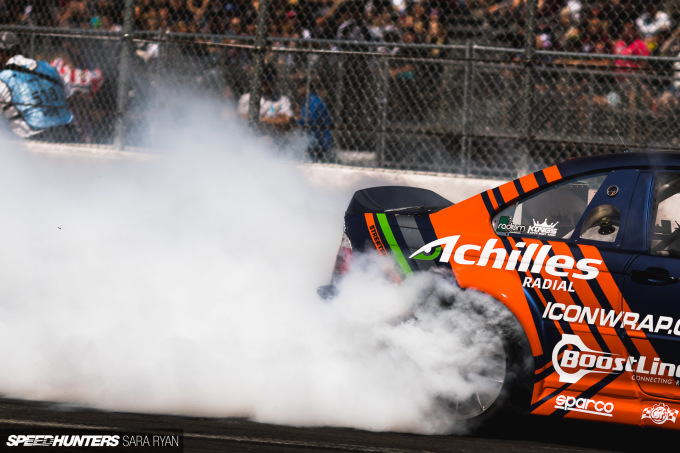 Pat laid down a solid run to kick off the season in the new-to-him Nissan, earning 19 out of 30 points for his line, 26 of 30 for angle, and 35 of 40 for style. If you happen to be new to the series and aren’t familiar with what exactly ‘style’ may mean, you can think of it simply as fluidity and commitment. A certain smoothness on initiation, as well as linking your entire run together for one big, fat, smoke-inducing drift. Alex Heilbrunn was the first driver to break into the 90s, hitting 92 in his first scored run of the day. Soon after Michael Essa struck back with a 93, thanks to a couple extra style points. The first half of qualifying was wrapped up after James Deane earned his stellar 98, with one point docked for angle and another for style. 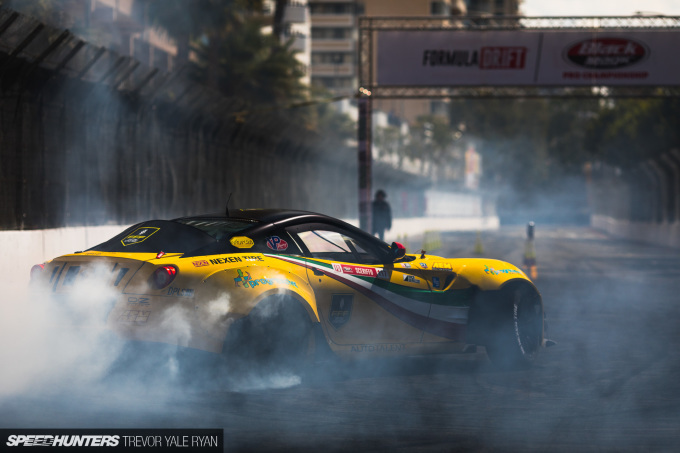 It was, as always, an aggressive run that physically pushed the limits of the track. Actually, even more so than Deane, it was Więcek in the sister car who really seemed to have to have no regard for the looming walls in Long Beach. Regardless, with the qualifying scoring slightly stricter this year, it seemed that Deane’s 98 could well be the high score for the day. But each driver still had one more go at it. As you’re likely aware, you can earn yourself a ‘0’ on your run by not drifting the entire course. Half a dozen drivers were in this position as the second round of qualifying rolled around. 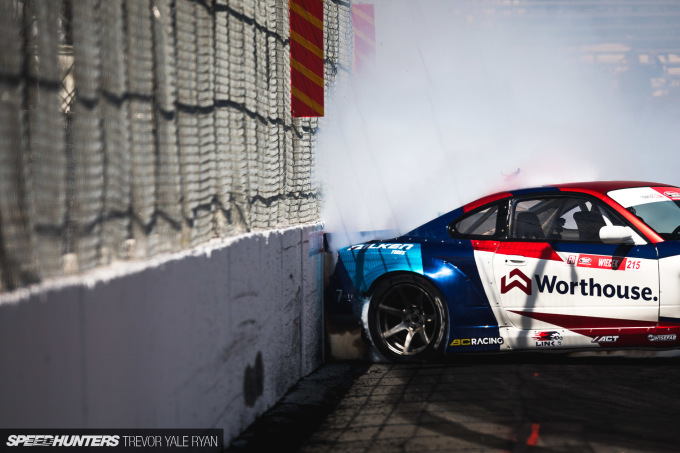 Kyle Mohan was one of these drivers, meaning he’d need to lay down a solid second run to find his way into competition in the Top 32 bracket the following day — no pressure or anything. The judges took a while to tally his score, but ultimately Mohan’s 67 was good for the 31st spot. Rounding off the Top 32 was Jeff Jones who snuck onto the last rung of the ladder with his 350Z. But as time went on it seemed that, on the other end of the bracket, the top spot would indeed belong to James Deane. But then, the ‘Beast From The Bay’ ran what looked like an absolutely perfect run. Mere inches (or less) from each clipping zone, the crowd, albeit not a sellout one on Friday, went wild. Matt Field is definitely a fan favorite, especially here in California, and his score of 99 only resulted in more pandemonium in the stands. Click play above to check out the wicked FPV drone footage from Johnny Schaer. “So smooth” and “no mistakes” were two comments I heard over the loudspeakers. 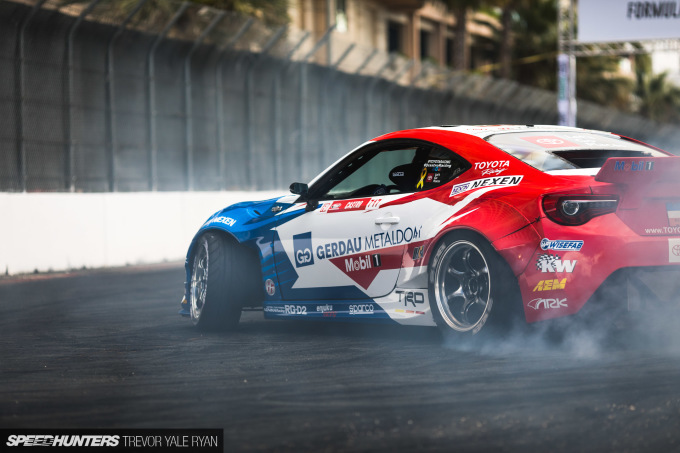 Więcek, Deane, and Aasbø all had another crack at Matt, but no one was able to better his incredible run. Finishing off the top five from Field and Deane was Piotr Więcek (97), Dai Yoshihara (97), and Odi Bakchis (also 97). 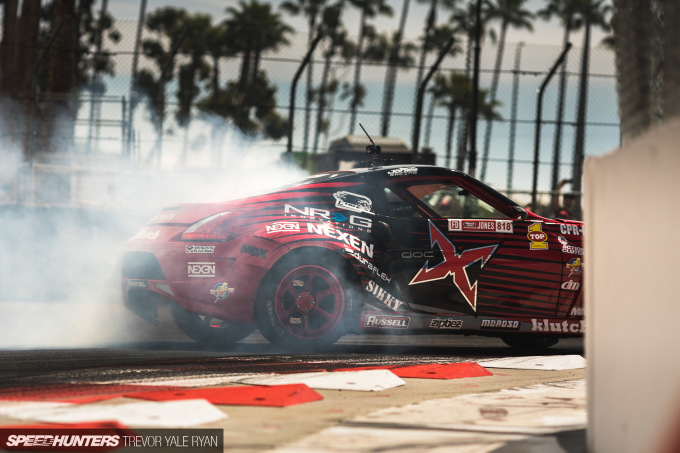 Meanwhile, Forrest Wang took 6th with a 96 and Ryan Tuerck was a hair behind, also with a high score of 96. 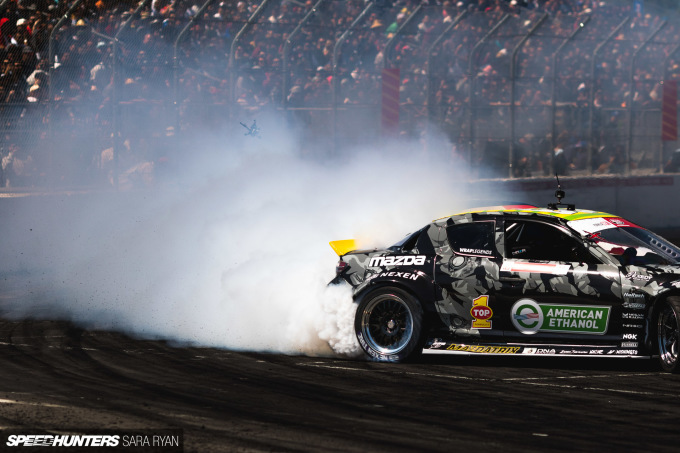 Forsberg, Denofa, and Aasbø filled up the rest of the top 10, respectively. Competition was tight, with Matt Coffman the last of those in the 90s, but finding himself back in 16th. And can I just step back for a minute to point out how good Coffman’s car looks this year? I’m loving that purple drip; good move gents. From my perspective on track, I can only ever see one or two corners and, depending where I am, maybe a replay on the big screen, so it’s really hard to determine any of the nuances of the runs. This is especially true at the start, but the sound from the crowd fills in the blanks as you listen in the distance for the calls from the judges. As far as judging went, the scores were consistent all day and seemed agreeable to the crowd — something which isn’t always the case. Just like that the smoke cleared and Friday was over with; the real action would come the following afternoon. 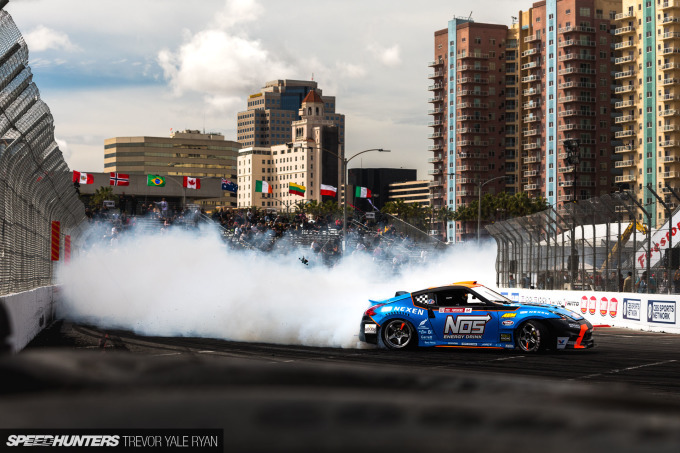 If you don’t already know how it all turned out I’ll say this much for now: just four drivers from last year’s top eight in season standings found their way into the top eight at the 2019 Streets of Long Beach. 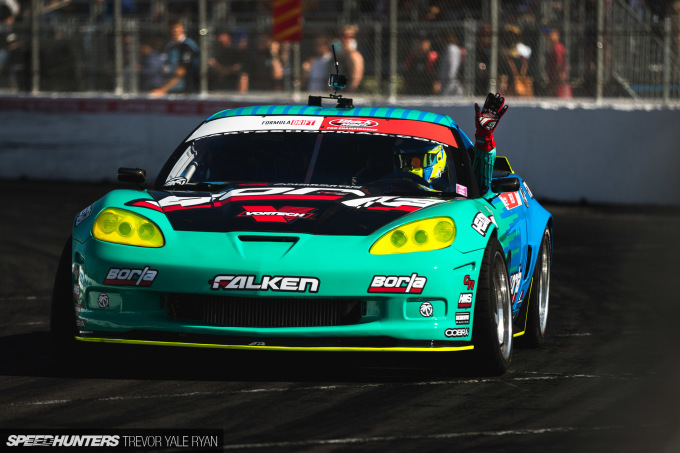 As predictable as things may sometimes be, Formula Drift is a motorsport of unlikely upsets — there’s no telling if an underdog will rise to dethrone James Deane in 2019. 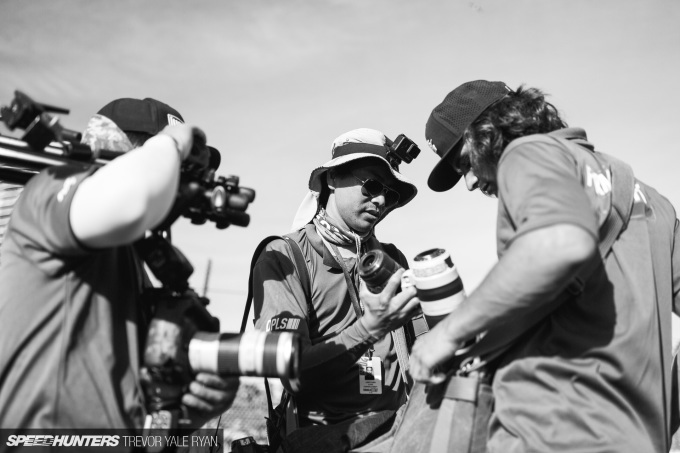 Only time will tell the full story this year, but Keiron and I will be back soon with the rest from the weekend.